Confession time: sometimes I wonder out loud to myself, “Is this real life?” Because you guys, I have to tell you that there are days where I legitimately wonder how in the world I’m in this exact spot at this exact moment to be able to experience this life. This is my “REALLY LIFE? !” face. Or it’s my “I cannot believe this beautiful life” face. You decide. PS: sorry for this giant photo of me that’s currently staring you down from your computer/iPad/phone screen. Take for example, a recent afternoon spent in Glacier National Park. The view of our destination: Glacier National Park. I was traveling with a group of friends and we had a few free hours to explore the Crown of the Continent. 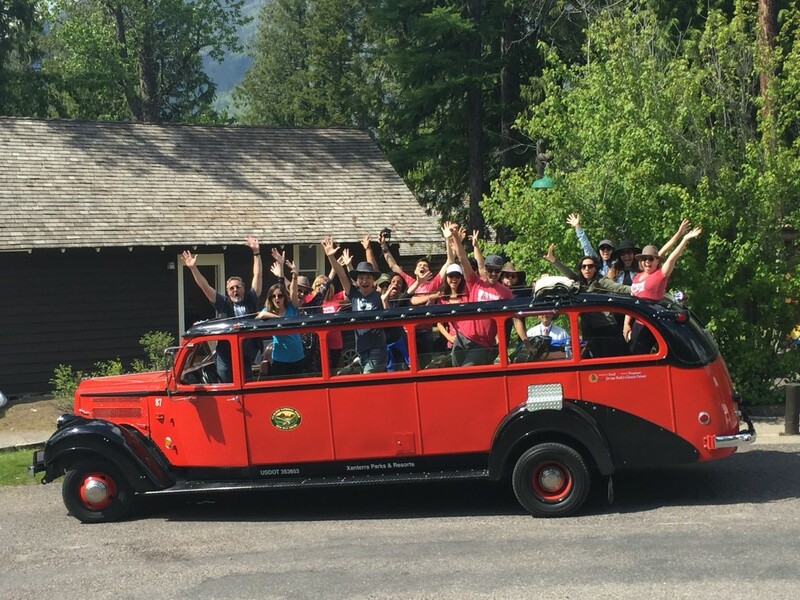 Since it was the first trip to Montana and Glacier Park for most of them, we did what any group should do: we took a red bus tour and boat tour. 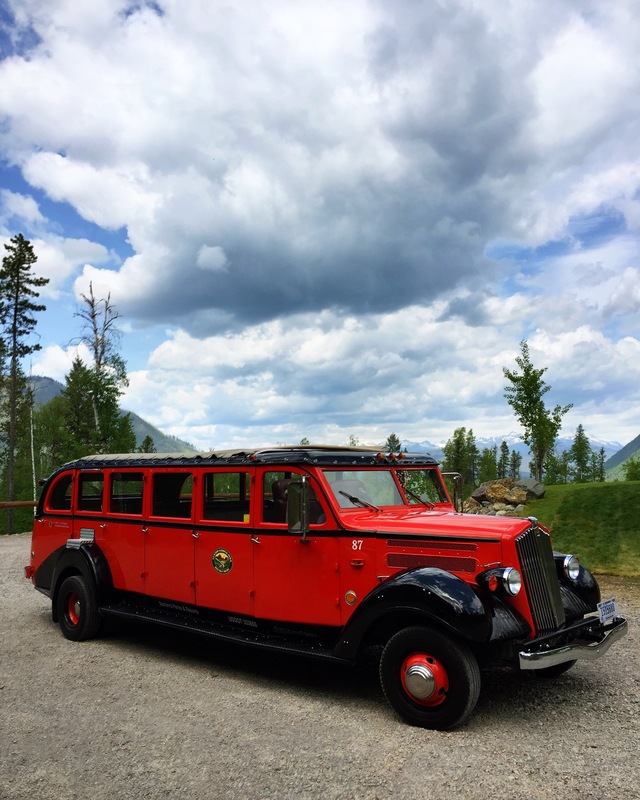 Our chariot AKA one of the historic red buses that provide tours in Glacier National Park. A required photo stop: the west entrance into Glacier National Park. 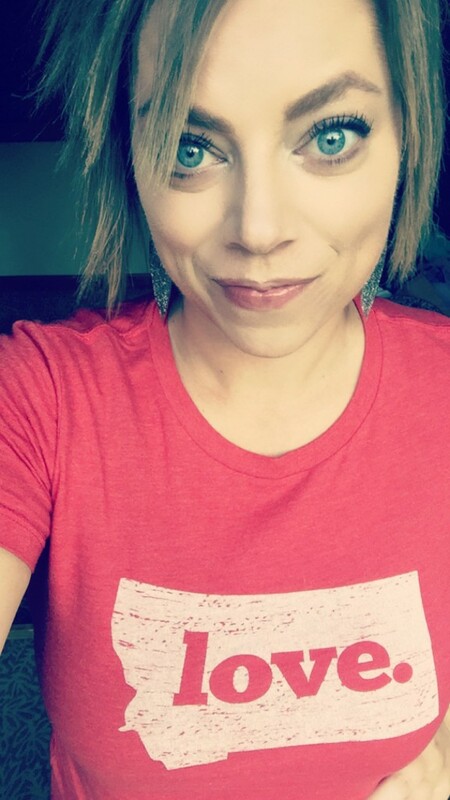 PS: I’m currently obsessed with these shirts from Montana Shirt Company. After stopping to take in one of the best views in the world (Lake McDonald from Apgar Village), our red bus driver Glenn took us along the Going-to-the-Sun Road to Lake McDonald Lodge for a guided boat tour with Glacier Park Boat Company on the DeSmet—a historic wooden boat that calls the waters of Lake McDonald home. 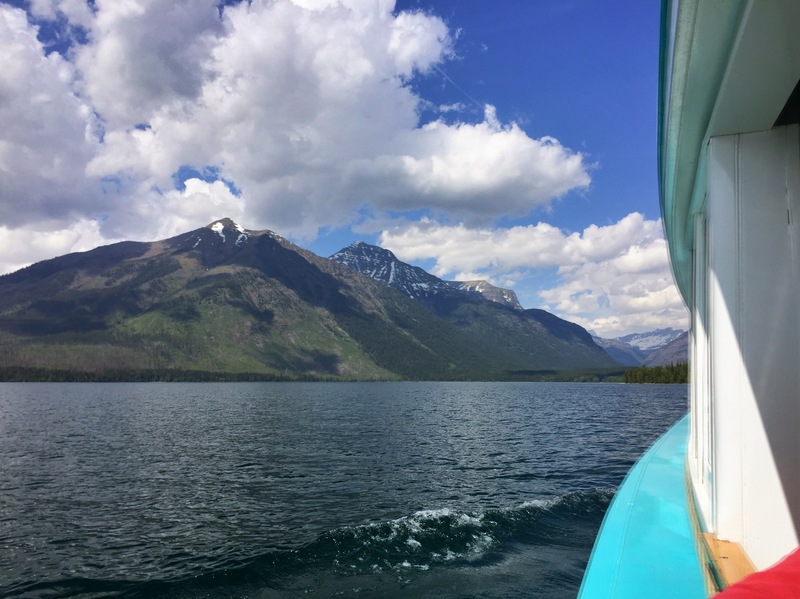 And for 45 blissful minutes we cruised the waters of the park while taking in snow-capped mountain peaks and learned about the history of the boat company and this region of the park from the boat’s captain. Getting ready to board the DeSmet. See ya soon, Lake McDonald Lodge. 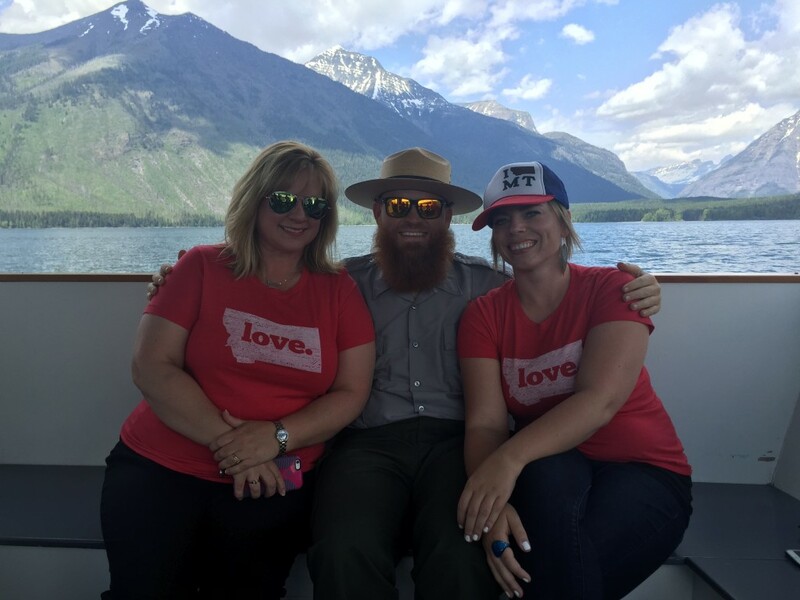 Pro tip: if given the chance, always take a photo with a park ranger. This little lady is one of my favorite travel buddies. I’ll cruise with you any day, DeSmet. 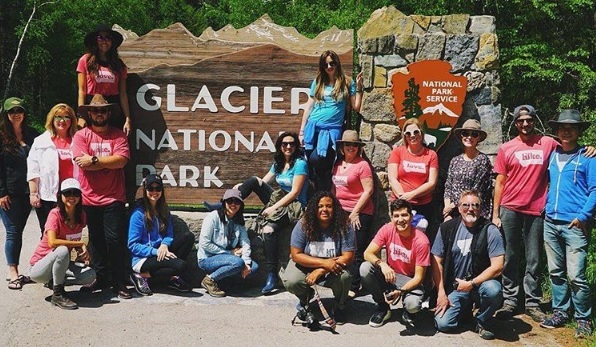 Showing our love for Glacier National Park. 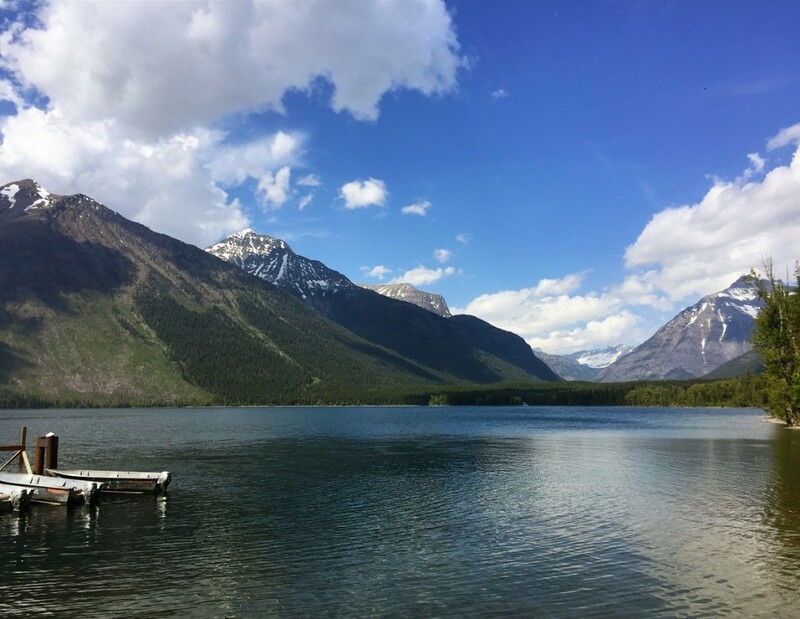 This entry was posted in Glacier National Park and tagged Glacier National Park, Glacier Park, Montana, red bus tour, Spring, Summer on June 6, 2016 by tiatroy. 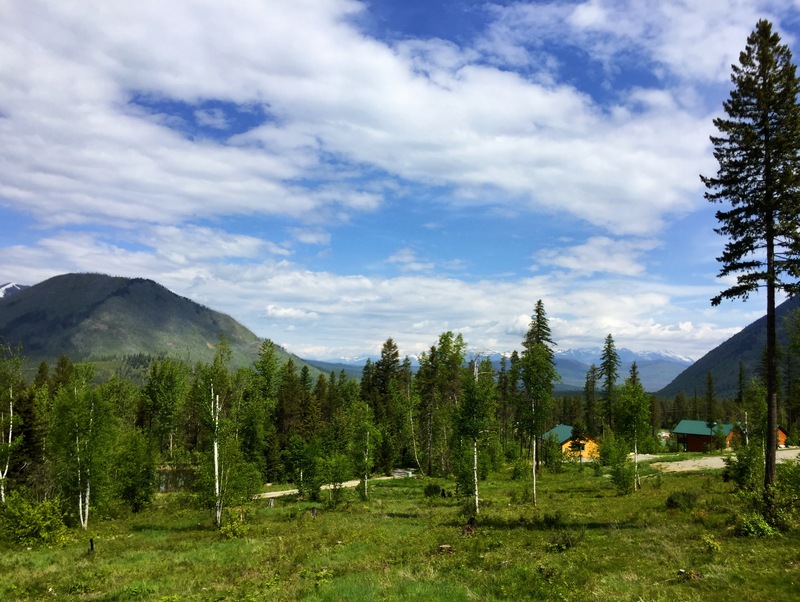 Looks like you had great weather for a wonderful day spent experiencing Glacier’s West Side. 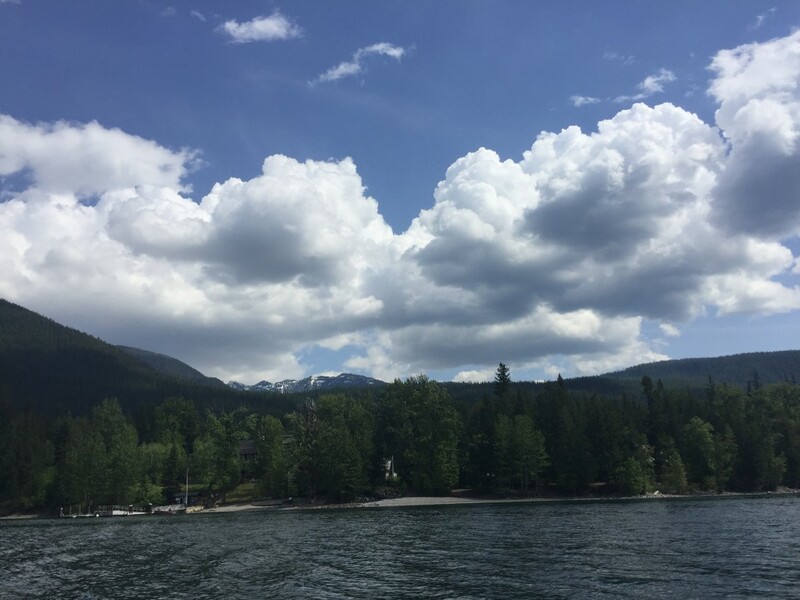 Nice clouds in your photographs showing off Montana’s Big Sky. Shout out to Glenn! He’s the best. My companion and I are a little handicapped and walk with canes. Stairs can be a problem. Do you think we would be able to do the red coach ride or the lake boat ride? If so, do you know about how much they run per person? 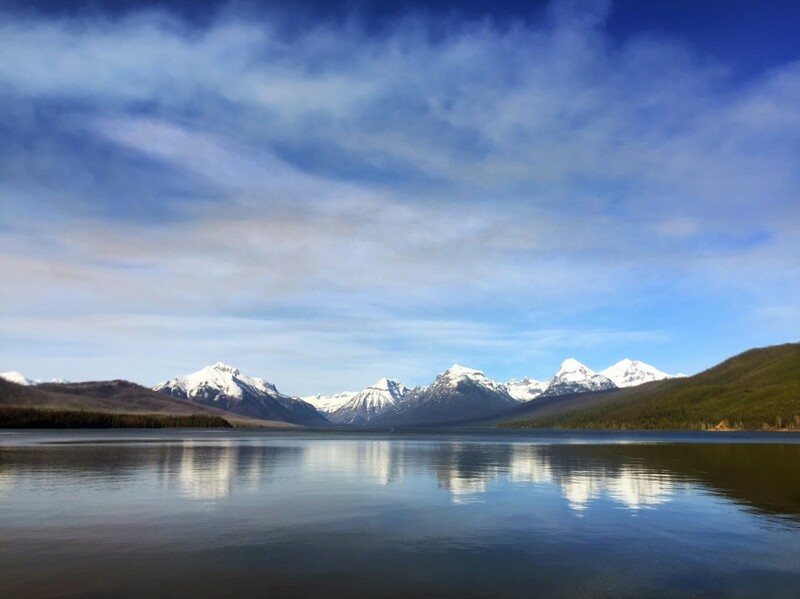 Even with such a horribly short amount of time to spend in the most beautiful place on earth, you were able to experience what so few have – Glacier National Park. I was fortunate that my father took a summer job in Glacier to suppliment his teacher’s salary when I was only 10 years old. I then spend 4 summers during my college years working at Lake McDonald Lodge before finally moving to NW Montana in early 1970. After 23 years, I moved away to pursue a new career but have returned on a very regular basis. People may change, buildings and transportation may change, but luckily, those mountains…oh those mountains will always remain the same. The most glorious place on earth, Glacier National Park, Montana. Worked at Many Glacier one summer. Definitely one of my life’s peak experiences. My sister, our cousin and I did the Red Bus tour in 2009. Don’t remember the driver’s name, but he was the greatest. We got red knit caps and people were taking our picture. I enlarged it and it is hanging in my living room. Hope to go back soon. My family will be visiting the first week of August. This sounds perfect to me! 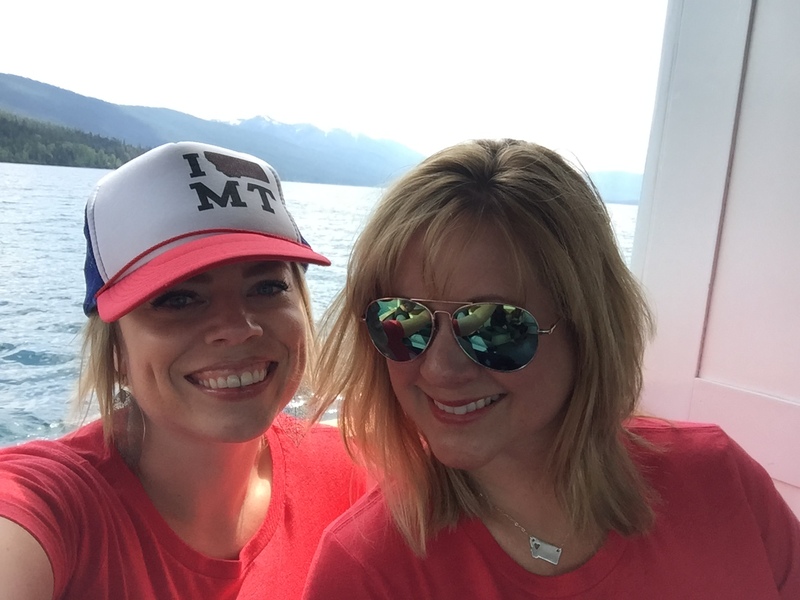 How did you coordinate the red bus tour and boat tour times? Hi Christi! You bet, you can book red bus tours at http://www.glaciernationalparklodges.com/red-bus-tours and boat tours at http://glacierparkboats.com/. I just got back from Glacier National Park. This was my second trip. I just loved it!